GTSS win Excellence in the Provision of Professional Services to the Marine Industry award. 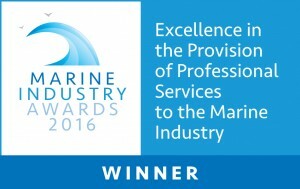 GAC Training and Service Solutions (GTSS) is delighted to have won the Excellence in the Provision of Professional Services to the Marine Industry award at the Marine Industry Awards 2016. Nineteen trophies were presented to the winners throughout the evening. 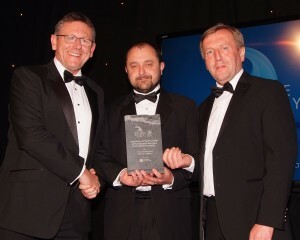 Liam Lacey, Director, Irish Maritime Development Office and Michael Creed, T.D., Minister for Agriculture, Food and the Marine presented the Excellence in the Provision of Professional Services to the Marine Industry award to Jim O’Byrne, General Manager of GAC Training and Service Solutions. 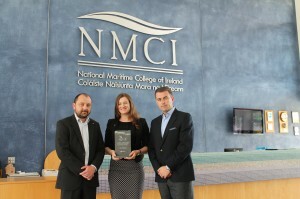 This year’s ceremony was held on June 30th, in association with SeaFest, at the Radisson Blu Galway Hotel. 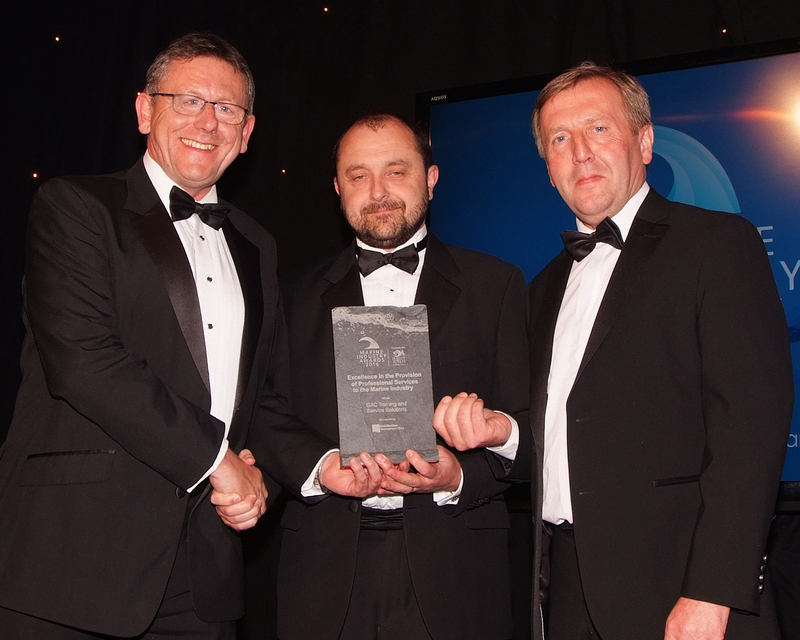 The evening was an enormous success, celebrating the growth and development of the industry in Ireland while recognising the key functions within the industry that promote growth and sustainability. Pictured above are; Jim O’Byrne, General Manager, Joy Gillen, Marketing Executive, and Conor Mowlds, Managing Director of GTSS at the NMCI.